2001 was a very busy year for Woodsy, probably the busiest of his career as he wrangled submissions to several ongoing projects, managed at least two of his own, and found some time to crack out a few maps on the side. Speedmaps, mind you; it doesn't look like Sam was big on anything that took longer than a day's work. 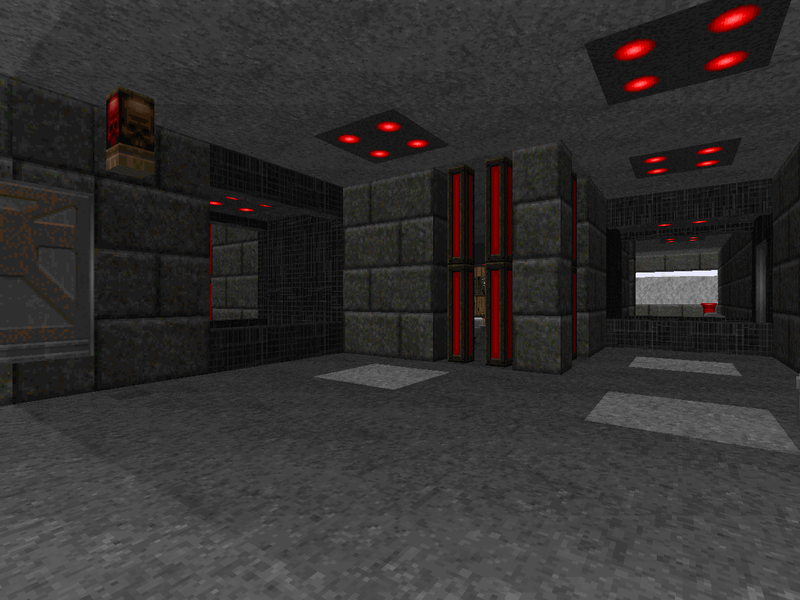 Supply/Shipping Depot is the third level in the Mortiser series, a small group of maps. They are tied together mainly by their resource pack, MORTRES. 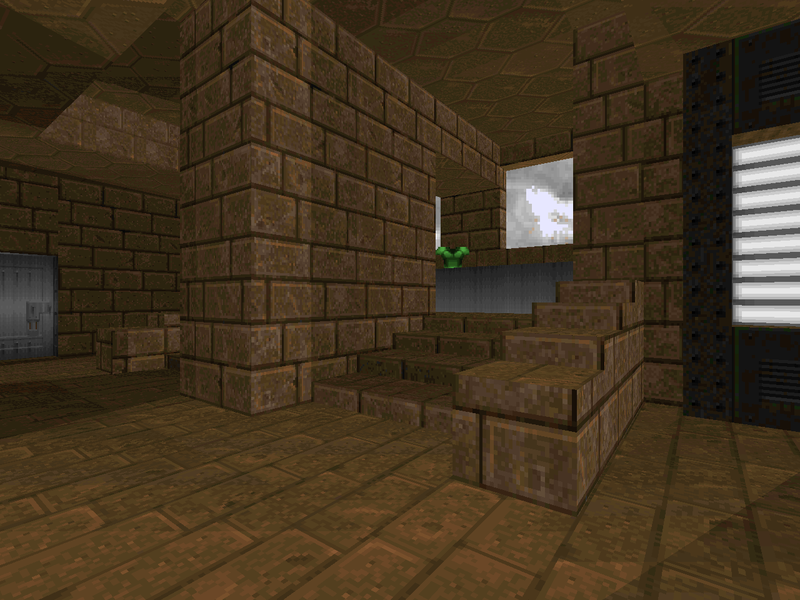 SWMORT3 follows the same progression as the previous two levels and as a result occupies the MAP03 slot. You'll need to play it in a limit-removing source port if you want to avoid the mentioned HOM effects. The early 2000s had a lot of crazy stuff going on at the same time and Sam Woodman had at least one finger in each of them. Alien Vendetta, Hell Revealed II, Plutonia 2, 2002: A Doom Odyssey... Heck, I wouldn't be surprised to hear that he had something kicking around in Millennium too. There's even his One Week Mapping Contest where he played the part of the "organizer". In between all of the submissions, projects, and his Mortiser series he still cranked out the occasional level. 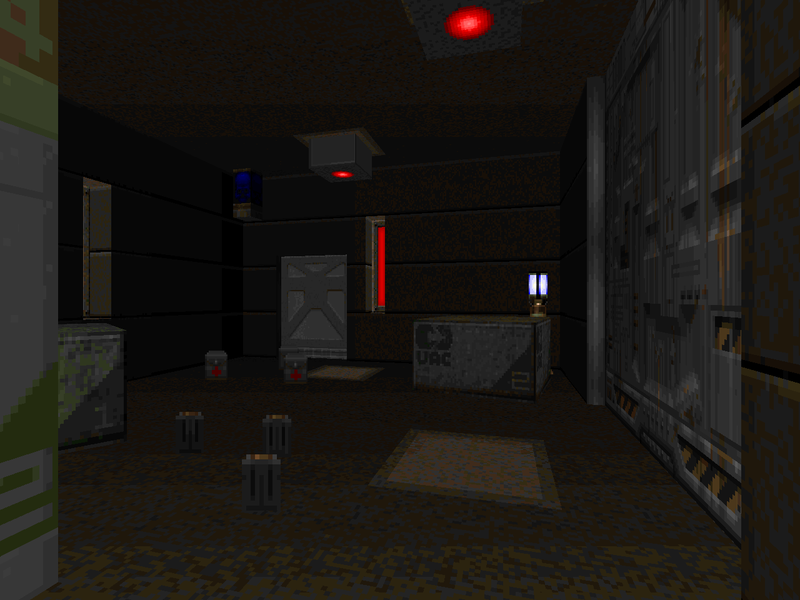 This one is Omega Facility, a MAP01 replacement for Doom II released in early 2001. It's a medium-size techbase level consisting of roughly equal parts brick and metal. I thought that it was station in space at first but there's definitely a green grass yard. Sammy boy may not have been the most prolific author during the source port boom but he had a lot of irons in the fire. 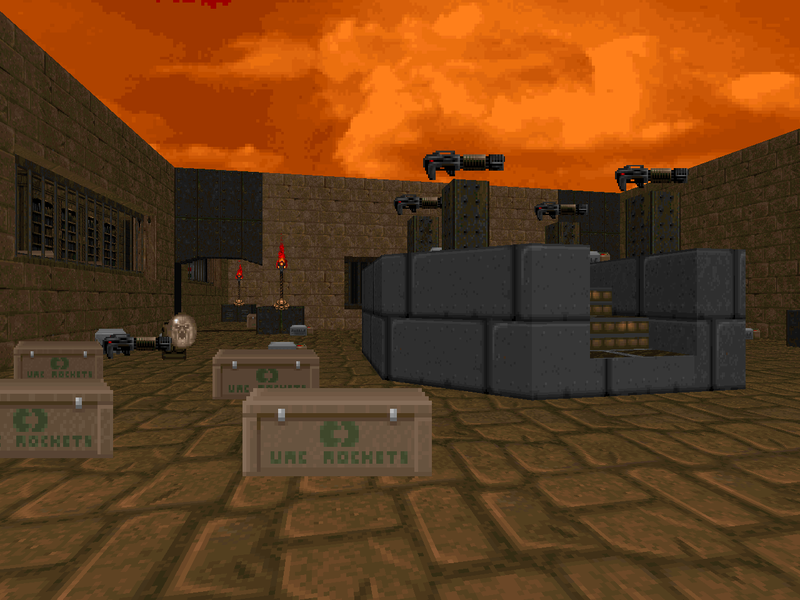 A lot of his levels made it into Hell Revealed II and he headed the Plutonia 2 project for the first half of its development, for better or worse. Woodman also submitted two levels to Alien Vendetta. One of them was folded into Vincent Catalaá's "Demonic Hordes", replacing some sort of lead labyrinth. The other either already was Mortiser 2 or became it in 2001 after being cut from the project, judging by the .TXT for SWOCKHAM. Like the rest of the series, you'll need MORTRES.WAD. One big difference - it's a joint venture with Mattias Berggren, also of AV fame! 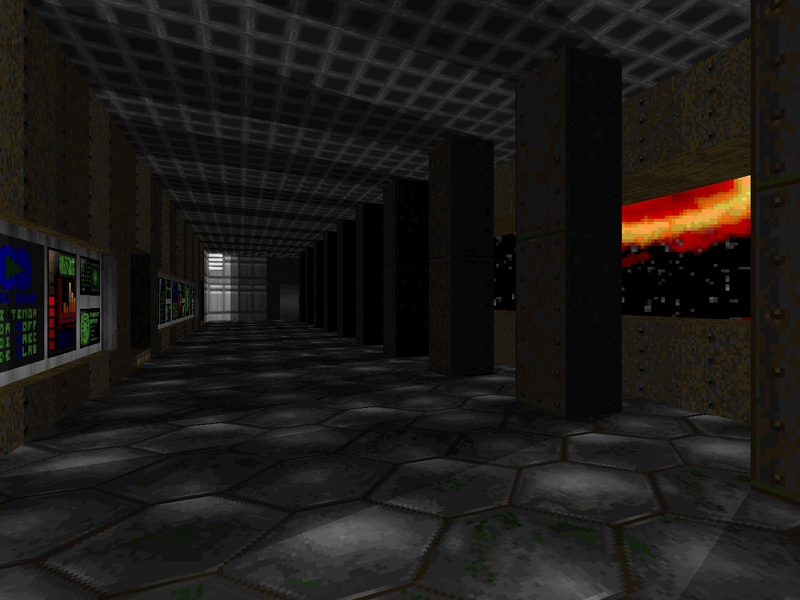 SWMORT2 replaces MAP02 of Doom II so it looks like Sam intended to string them together one way or another. Woodsy spent the year 2000 throwing his weight behind a lot of different projects. The only one that really panned out was Plutonia 2, just not with him at the helm. 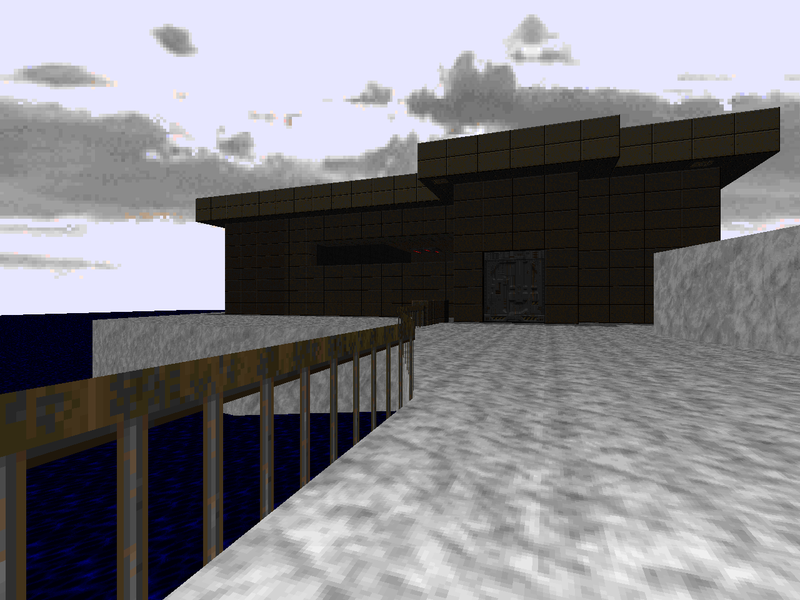 Ockham Complex, a MAP01 replacement for Doom II, begins 2001 without a continuation of any of the previous material. Sam does mention the hotly anticipated Mortiser 2, but it's in reference to another classic megaWAD: Alien Vendetta. I guess he was waiting to see whether or not Anders and co. were going to accept or reject it and made SWOCKHAM in the meantime. Woodman did get one map into the illustrious AV - but you already knew that, didn't you? Where Ice Station Alpha got cut out of Alien Vendetta and remained so, Ballistics was removed from Hell Revealed II... only for it to return for the final release. That's why it initially made its way to the archive as a solo publication; Sam has an aside in the .TXT for an Andy, presumably one Olivera, talking about a few changes he made since it was excised. I don't know the full story of how it found its way back into the project but according to Woodman it was removed to make way for another level of his own construction. Given HR2's troubled development history, I assume that some of the levels just didn't come through in one way or another and SWBLSTCS felt like a reasonable alternative. It took awhile, including three wildly ambitious beginnings, but Sam eventually hit his stride with this MAP01 replacement in late 2000. The Mortiser series constitutes his largest, independent body of work and spans five levels from 2000 to 2003. The biggest thing tying these maps together is the Mortiser resource WAD, a collection of works from Nick Baker also serving as the basis of the theme for the apparently-still-in-progress Testament of Judgement. The Doomwiki informs me that ToJ eventually turned into Plutonia 2, but in September 2000 the difficulty design doc for PL2 explicitly labels it as such while the text file for MORTRES (timestamped on 10/31/2000... though the .WAD itself is stamped in THE FUTURE on 02/20/2018) continues to talk about ToJ as its own project-to-come. Maybe someone with access to the earliest dev materials can explicitly link the two.